We (TAUW) would like to inform you about the new executive board of Turkish Association of University Women which is elected at the ordinary general meeting held on April 12,2014. Recently a few Europe wide reports were published: violence against women, the gender gap report etcetera. They are also published on this site. The reports are clear, too many women suffer from violence and too many women get paid less than men. It is may be hard to believe when you yourself are not in such a position but it is important and worthwhile to join forces and show that women will not put up with violence and strive for better positions in society. Still a lot has been done also on a European level and in these document you will find an overview of the European efforts for Equality since 1957. Europe and equality 2012 Next week almost forty women from all over Europe will gather in Amsterdam to be introduced to the work of the European women’s Lobby and the Council of Europe in which the UWE has participative status. I am looking forward to great debates and meeting lovely and interesting women. 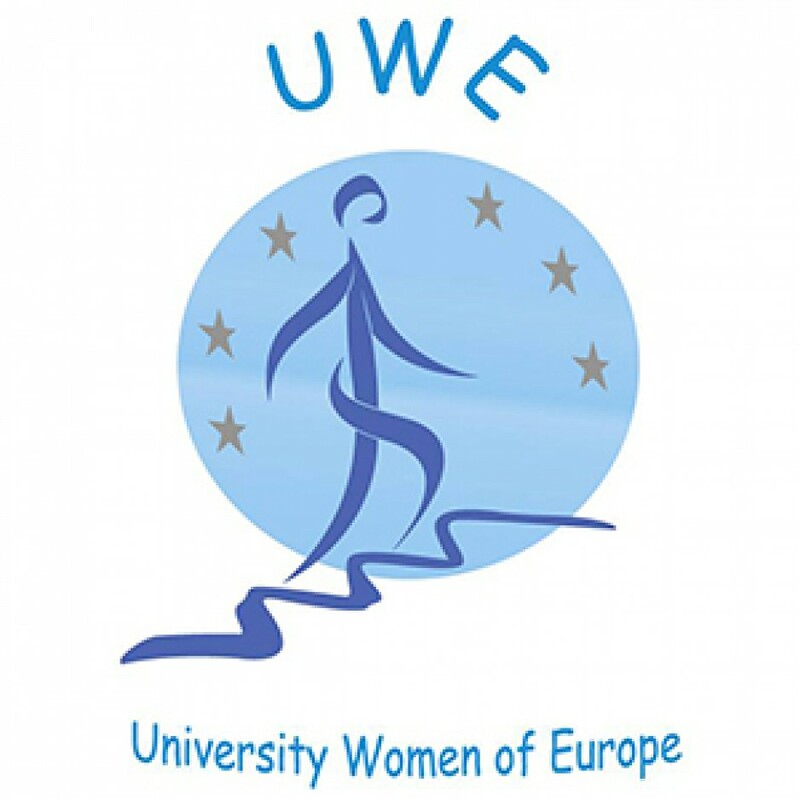 Purpose of the discussions is to set new goals and priorities for UWE to be presented and reviewed at the AGM in Bucharest 4- 7 September 2014. More news will follow shortly. This entry was posted in AGM 2014 Bucharest, meeting 2014, Uncategorized, Violence against women. 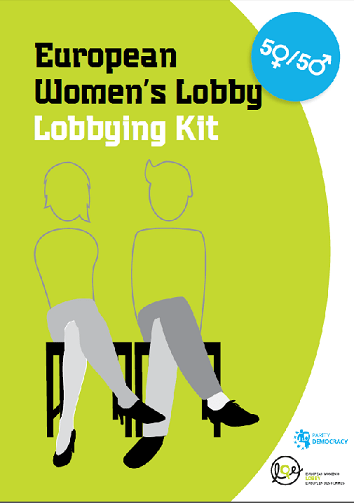 The IFUW offers free screening kits on priorities in peacekeeping focused on women. I think it would be wonderful if we could use it our Bucharest Conference 4-7 September! Let me know what you think! Or maybe you would like to use it in your own country (the film is in English) than apply to cs@ifuw.org. Deadline is 16 May 2014. Peace is Loud have developed an acclaimed documentary series entitled, Women, War & Peace. IFUW has teamed up with Peace is Loud to offer this series to IFUW national federations and associations (NFAs) to host screening events, and to launch a joint statement: Priorities in Peacekeeping: Women, War & Peace. Founded by activist, filmmaker and philanthropist Abigail Disney, Peace is Loud inspires action through media and live events that spotlight women leaders on the frontline of peacebuilding worldwide. Women, War & Peace is a five-part documentary series featuring women’s voices from the frontlines of peacebuilding in Liberia, Bosnia, Afghanistan and Colombia. The series includes the film Pray the Devil Back to Hell and is co-created by filmmakers Abigail Disney, Pamela Hogan and Gini Reticker. Watch the trailer. The films are available in a screening kit that comes with region-free DVDs and a discussion guide featuring interviews with women leaders, including Nobel Laureate Leymah Gbowee, on organizing for peace. Plus each screening kit has four language options: Arabic, English, French and Spanish. Already, over 180 organizations in 66 countries are screening the films to foster education, discussion and advocacy. We hope you will join this effort! IFUW has fifteen free screening kits to give away to NFAs, if you would like to receive a kit please email details on your screening, including who you will invite, where you will host it, and your objectives for the screening, in no more than 200 words. Email your screening details to cs by 16 May 2014. If you have any questions, please do not hesitate to contact me. We look forward to hearing from you. A side-event on “A Europe without torture: what is today’s reality?”, a discussion on the situation in Ukraine with the participation of NGOs from Ukraine, and a debate on “which democracy do we want?” were among the highlights of the session. 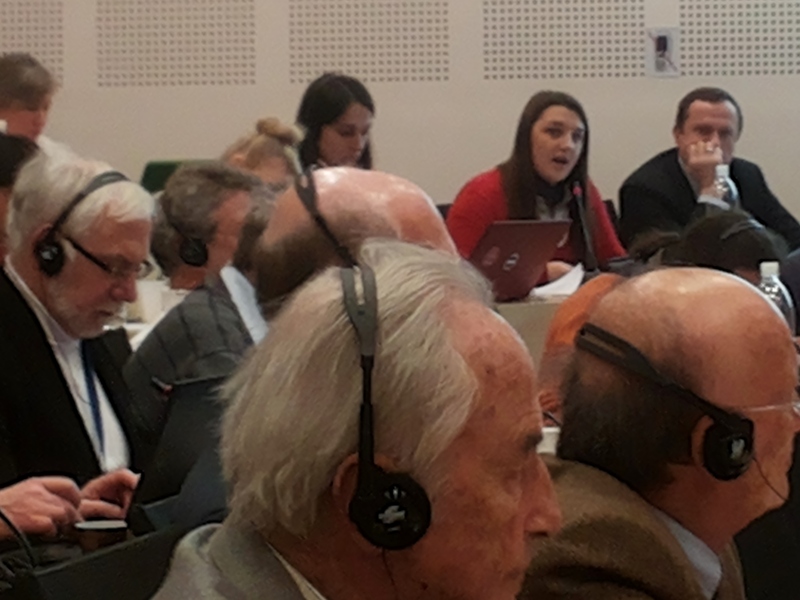 The Conference of INGOs adopted texts on hate speech, the situation in Ukraine and human rights and religions. It took me awhile to write this report as I needed some time to put all the new information in a report which was not too long. I hope this report will give you more of an impression and if you would like to know more about UWE’s work at the Council of Europe: visit the Meet and Greet 2014 in Amsterdam. More information 2014 meet and greet uwe in amsterdam 1 . It was my first time in Strasbourg and I was impressed to talk and meet with representatives of over 100 International NGO’s. The first days were dedicated to the so called committees among which the Culture and education committee see http://www.coe.int/t/ngo/conf_educ_en.asp for the agenda. The first meeting was a lively one with lots of discussions and presentations and a paper on religion and human rights which was later adopted by the full conference at the end of the week. http://www.coe.int/t/ngo/Articles/CONF_PLE_2014_APP1_HR_religions_en.asp The INGOs are “determined to safeguard, whatever happens, democracy, human rights and the rule of law, the Conference of INGOs of the Council of Europe is launching an appeal to the men and women of Europe and to NGOs operating on the ground so that, together, everyone can take action at their own level and in their own setting to ensure continued respect for the equal dignity of all individuals and of the values connected with this inviolable principle.” Part of this concern is also the ever growing amount of so called Hate speech growing racism and intolerance in Europe, combating Hate speech will be part of the 2014-2016 program. It will prepare a “Civil Society White Paper’ to combat hate speech and prepare a “Civil Society Forum”, together with the media and political parties, for the purposes of launching the White Paper and drawing up a Charter of good conduct for tackling hate speech more effectively. I participated also in a working group on Gender equality from the Dutch Gender Advisor Betty Doornenbal. Priority is still the signing of the Istanbul Convention to combat gender based violence. More info: http://www.coe.int/t/ngo/conf_tg_gen_en.asp. 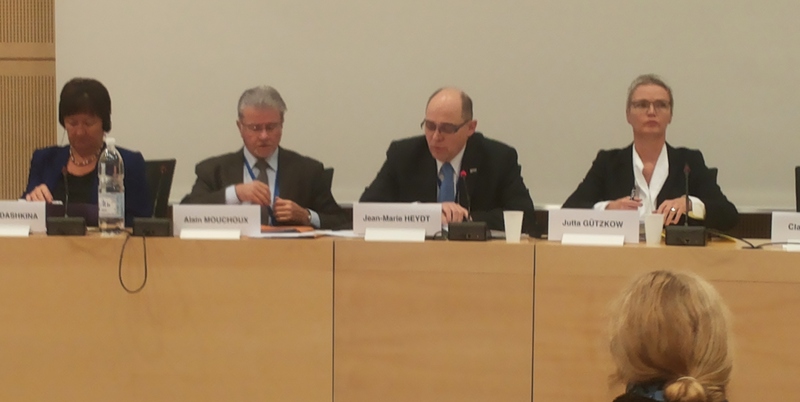 Another important meeting was the working group Living Together in which UWE also participates. One of the most impressive and sad occasions at the INGO conference were the statements of NGO’s of Ukraine stating the difficult circumstances and violence they live in. 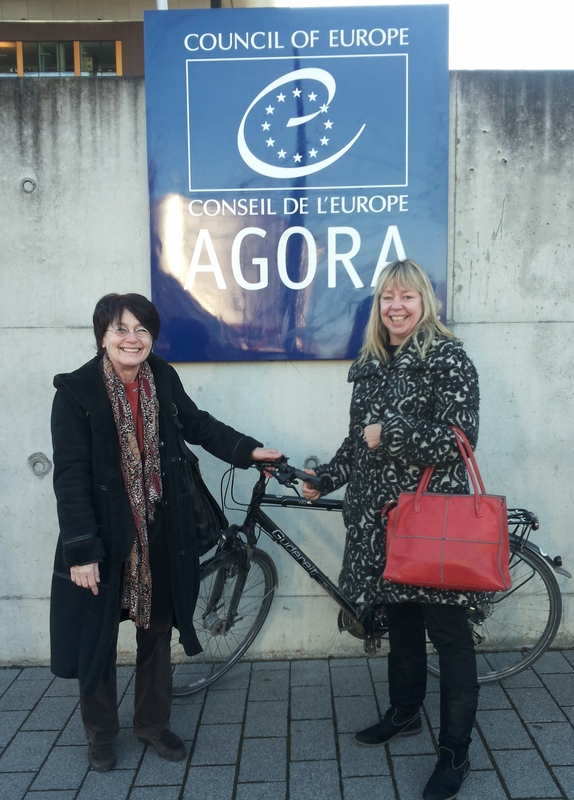 At the initiative of the Conference of INGOs, a group of civil society representatives from Ukraine participated in meetings at the Council of Europe end of January. The NGOs met with the Secretary General, the Commissioner for Human Rights and participated in a hearing with the INGO Conference at which they reported their concerns regarding the current situation, in particular Human Rights violations. The Conference of INGOs adopted a Resolution urging Council of Europe bodies to monitor the ongoing situation and offered to be the platform to promote dialogue and civil society involvement to help resolve the crisis in Ukraine. Message of solidarity to civil society representatives in Ukraine. The Conference of INGOs is deeply shocked and appalled by the current turn of events in Kiev, specifically, the escalation in violence and the many unfortunate deaths that have occurred. Our thoughts are with the families of the victims. The Conference of INGOs of the Council of Europe once again expresses its solidarity with Ukrainian civil society at this difficult moment and calls for an inclusive dialogue and a peaceful and democratic solution to the current crisis. The Conference remains ready to offer its platform for involving national and international civil society actors in these efforts. Although resolutions can’t negate the effects of violence and force as is shown in the case of Ukraine and Georgie The INGO Conference is an important tool to enhance democracy it advises the Council of Europe via the President of the INGOs Jean-Marie Heydt. It has three special programmes the Code of Good Conduct, the Dialoque Toolkit – you will be introduced to at the Bucharest Conference in September – and The Expert Council. Especially the Expert Council which investigates and writes reports on the situation in countries on the participation of civil society is an impressive tool. Next year they will very likely investigate Turkey after investigating Russia and Azerbeidzjan! http://www.coe.int/t/ngo/expert_council_en.asp Its work covers the 47 member countries of the Council of Europe and Belarus. It was created in January 2008 by the Conference of INGOs of the Council of Europe with the aim of creating an enabling environment for NGOs through examining national NGO legislation and its implementation and provides advice on how to bring national law and practice into line with Council of Europe standards and European good practice. The INGO Conference is a wonderful platform to meet lots of other representatives of INGO’s and find partners to create new actions and work towards our goals. I met representatives of the Catholic women, Teachers union, Jewish women etc. etc. and was able to make some contacts. The first few days of the conference are a preparation for the last day in which the voting takes place. As the UWE is on the Standing Committee we are part of a group that can help decide what should be the agenda of the conference. The Conference however decides. A new candidate for Vice Presidency of the UWE (Vera has done this intensive work September 2014 over six years) to participate in the INGO of the Council of Europe needs to be fluent in English en preferably also speak French as some meetings are in French and not always translated into English. The documents of the INGO and the meetings can be found on the website of the Council of Europe http://www.coe.int/t/ngo/default_en.asp to find out more about the Committees look under structure where you will find the documentation. This entry was posted in information general, INGO, meeting 2014, Uncategorized and tagged Council of Europe, INGO, meeting. Congrats: It’s International Woman’s Day! Today lots of messages arrive in my mailbox, congratulating me with International Women’s Day. It makes me think about last year when I was in Afghanistan. 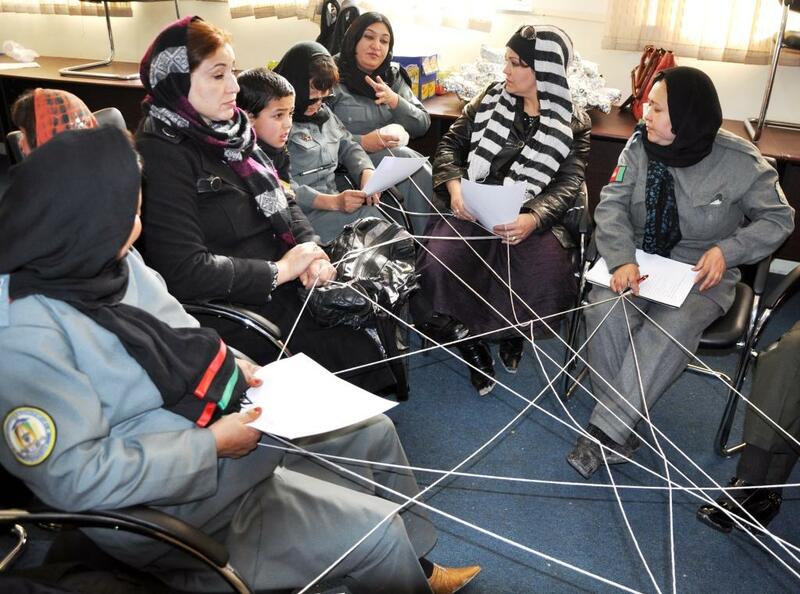 Yeah, International Women’s Day is celebrated everywhere, even in Afghanistan. All the women working in the mission were invited for coffee, tea and cakes. The Head of Mission was so nice to give each of us a present, a headscarf! It was very much welcomed by most women and some negotiations ensued, to swap the nicest ones. It was a nice day. Thinking of it still upsets me, International Women’s Day isn’t about having a nice day. It is not a bit like Mother’s Day. And it certainly isn’t about nice scarves to cover a women up! Women all over the world perform 66 per cent of the world’s work and produce 50 per cent of its food, but earn only 10 per cent of its income and own one per cent of its property! International Women’s Day is a time to celebrate women and all their achievements, but also to highlight what still needs to change. Last year the Head of Mission asked me to say something to those gathered, as I was so committed to the women’s cause. I told everybody the facts about the women’s productivity and the lack of income and asked him to hire more women in the mission (only 10 percent were women out of 400). While it is easy to condemn the inequality in Afghanistan, there is still much to worry about in European countries. A new report by the European Union Agency for Fundamental Rights (FRA) presents results from the world’s biggest-ever survey on violence against women, revealing the extent of abuse suffered by women at home, work, in public and online. As well as demonstrating the wide prevalence of violence against adult women, the report also details incidents of physical and sexual violence experienced by women in childhood. The survey shows that policy makers need to recognise the extent of violence against women, and ensure that responses meet the needs and rights of all victims of violence against women in practice and not only on paper. Governments and society at large should realize this violence is massive and unacceptable. Sign, ratify the Istanbul convention now! Don’t use the technicalities as an excuse to not to sign, like they do in the Netherlands. Which country is so liberal but still is almost on top of the list of percentage of women violated. The report makes it abundantly clear, women all over the world live in a unsafe society . It is great we have already a UWE project concerning Violence against Educated Women in place! Please participate all when you are asked to fill in the questionnaire! So no congratulations, no coffee and no cakes on International Women’s Day, we demand a safe society for all!